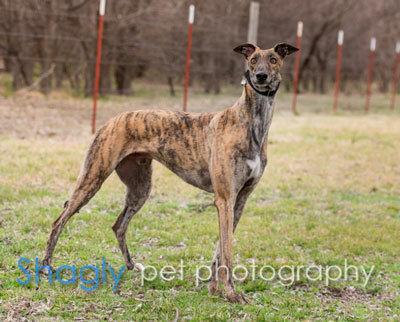 Whiskey is a 2 year old brindle male born February 26, 2017. His sire is Who Says I Can't and his dam is Shorty's Nana. 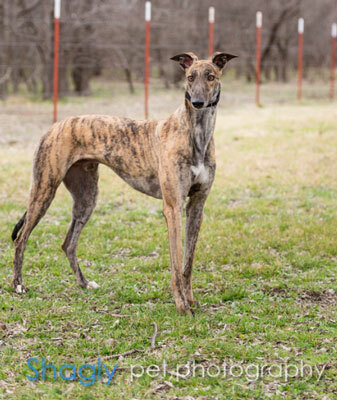 Whiskey was not individually registered and has not raced. He has not yet been tested with cats or small dogs. This looker of a guy is sure to make you smile!